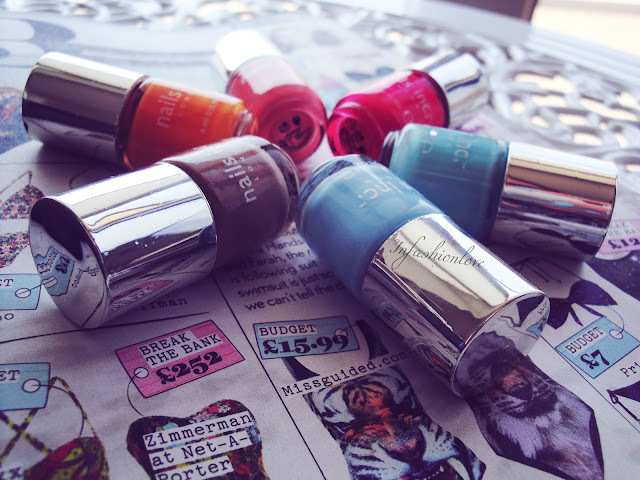 INFASHIONLOVE.COM: Nails Inc. Spring/Summer 2013 Collection! 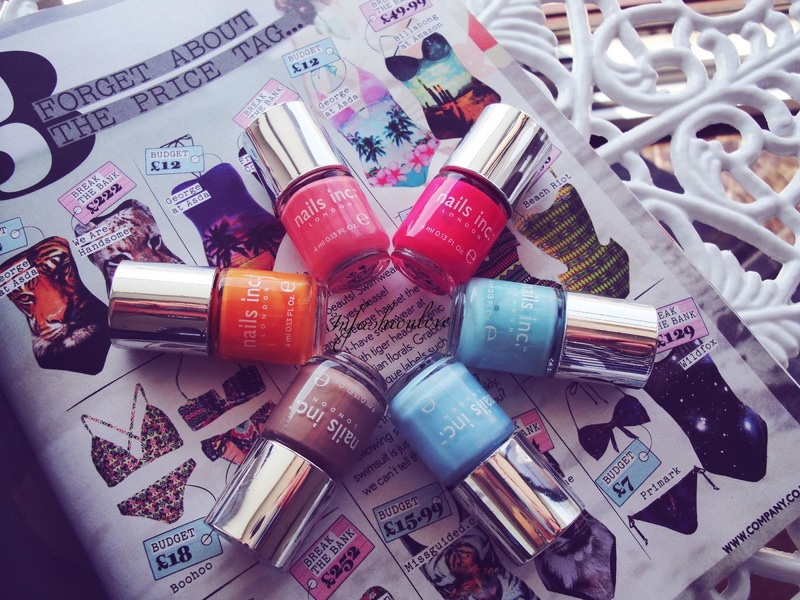 These are so adorable, six mini Nails Inc. nailpolishes in delicious summer trend shades! I have already worn half of them, and all are super cute. Chealsea Physic Gardens is a pretty pastel blue, Royal Botanical Gardens minty green, great toes shade [actually wearing it right now! ], Kensington Palace Gardens is a yummy peach, all very glossy. Primrose Hill Gardens is a hot pink that dries matte, but it looks very pretty with a topcoat, almost like a jelly shade. Hampton Court Palace Gardens is an orange and Belgravia Gardens is a taupe, and I haven't tried them on yet. All of the shades are really pigmented and two coats are plenty!